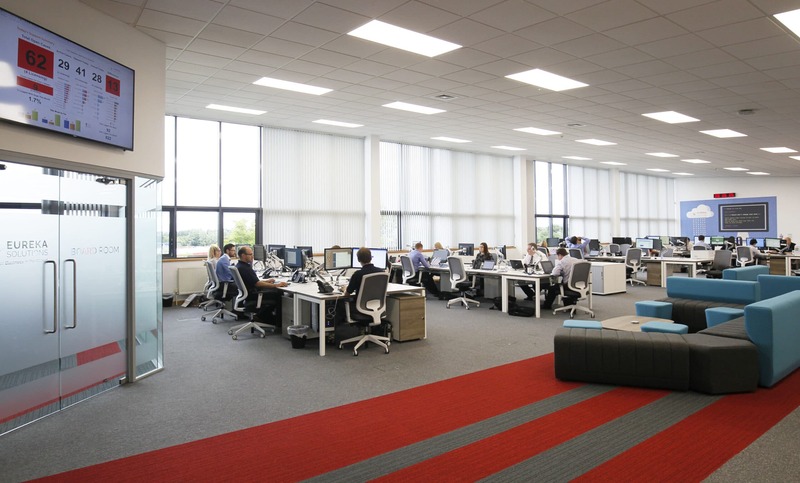 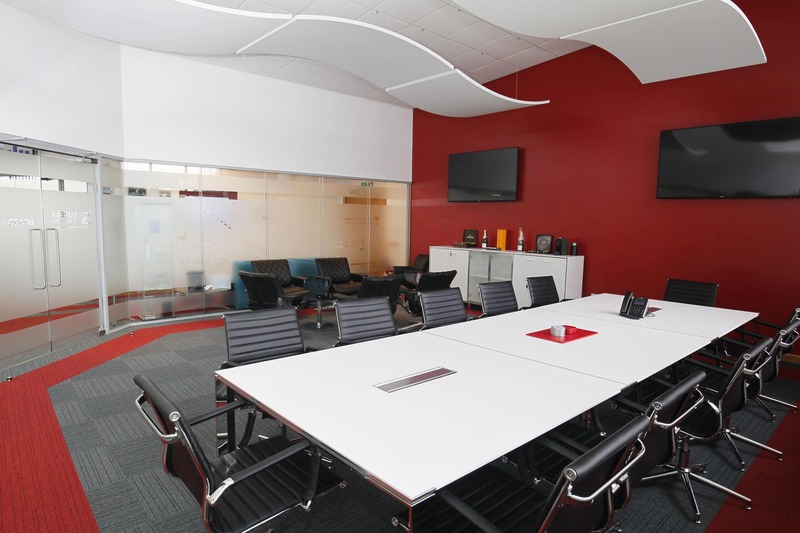 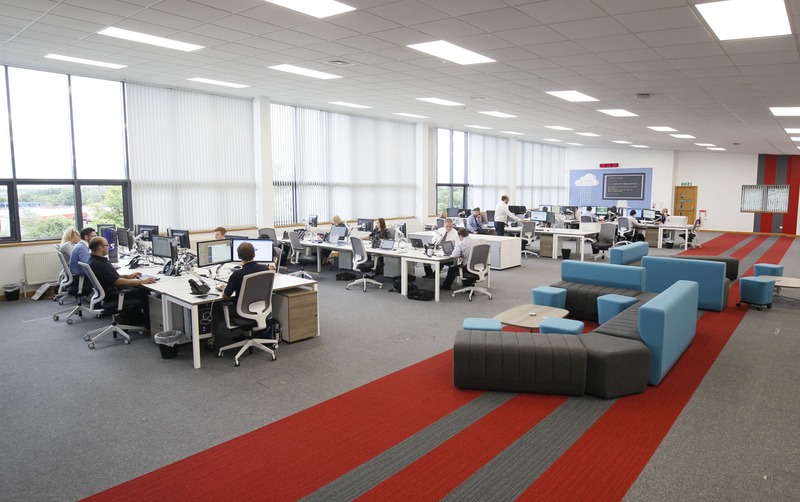 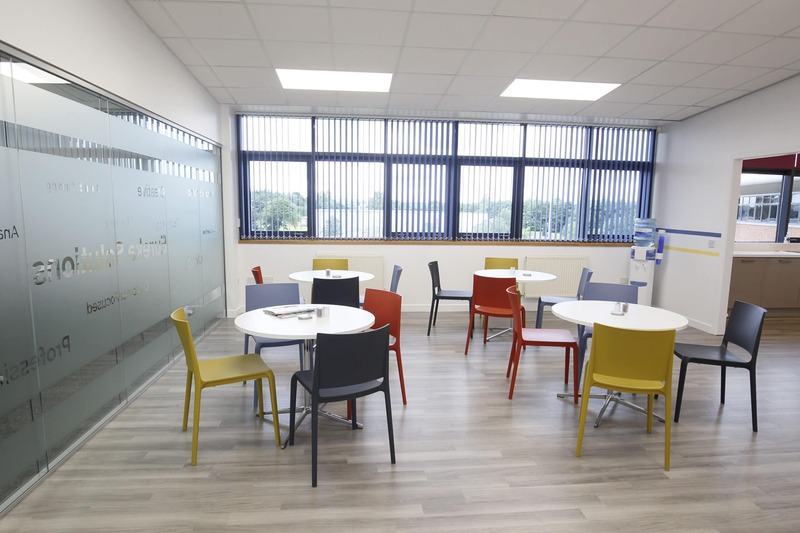 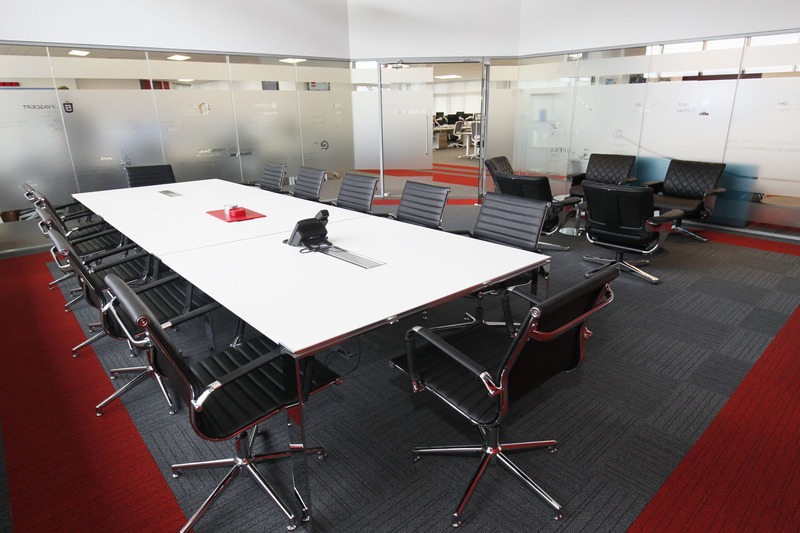 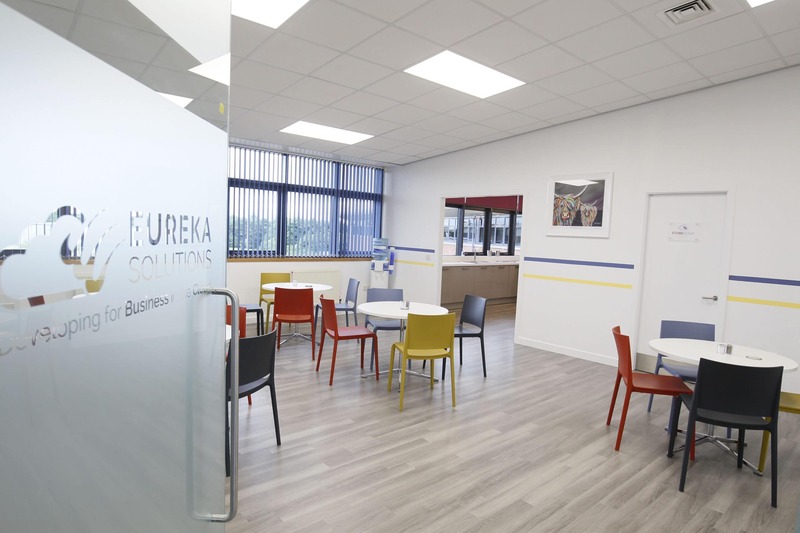 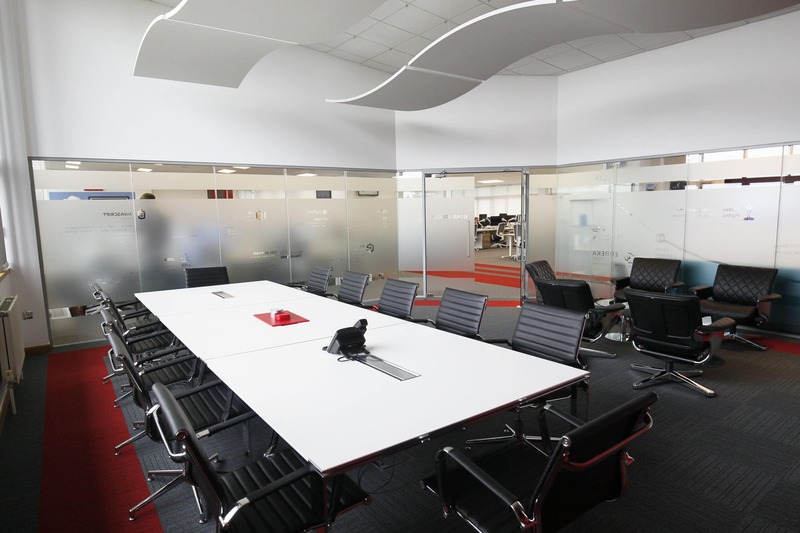 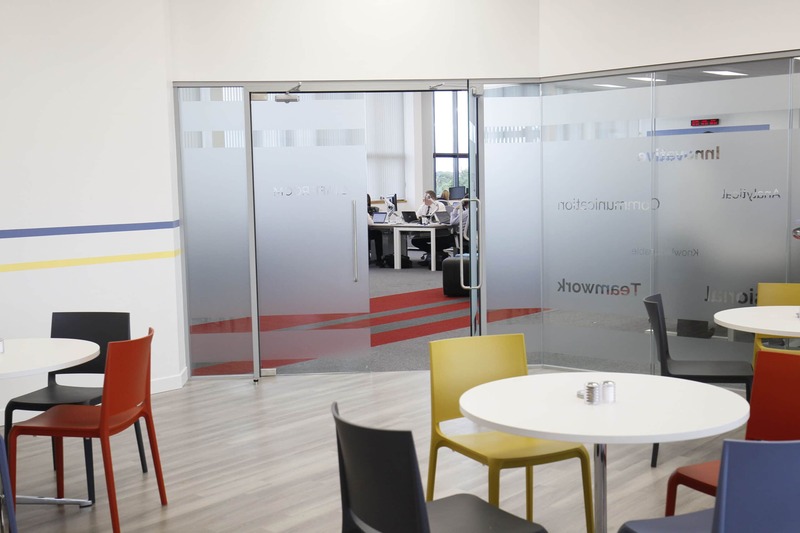 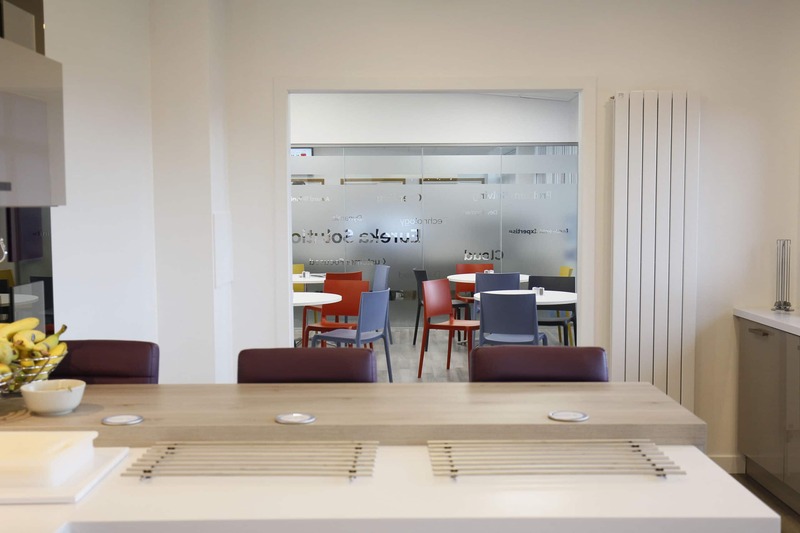 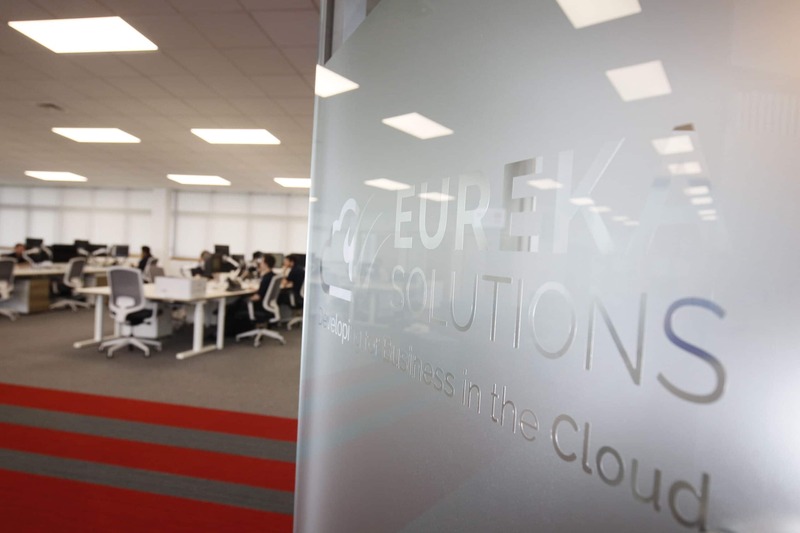 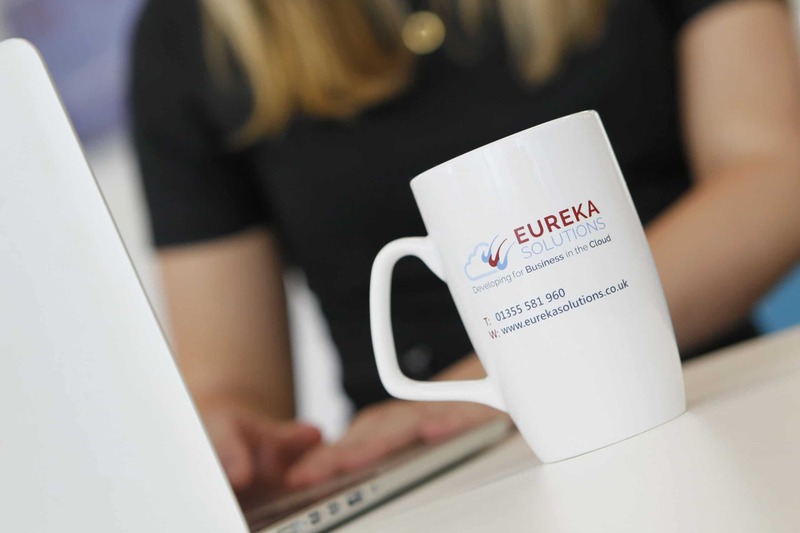 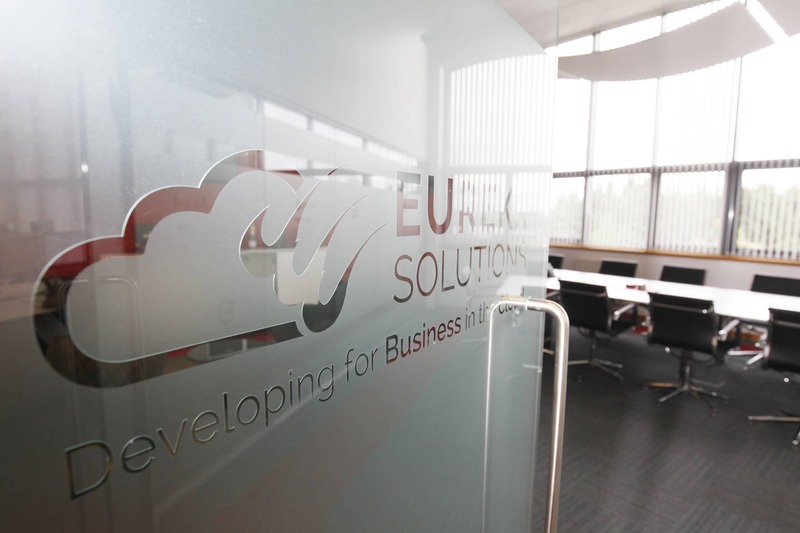 Small Office Fit Out for an award winning cloud business solutions provider, Eureka Solutions. 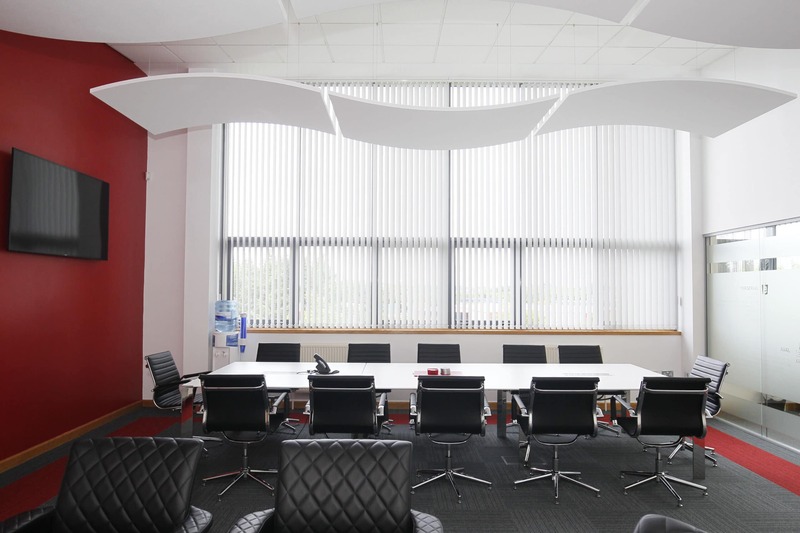 New purpose built office headquarters, 6500 sq. 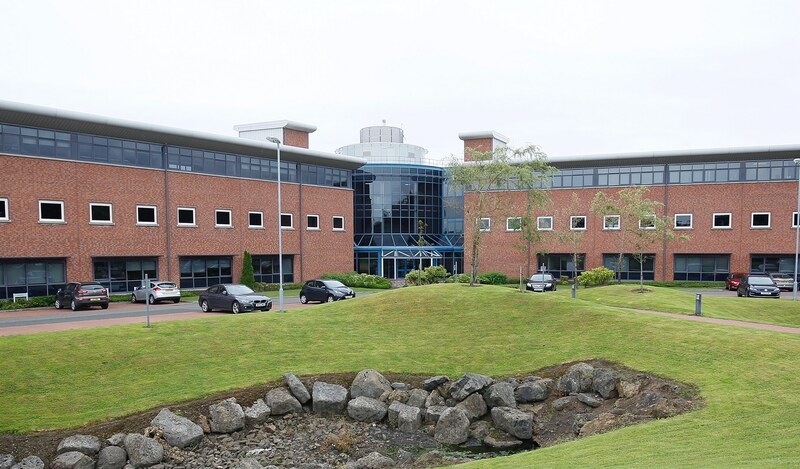 ft. top floor east wing of West Point House, Peel Park, Redwood Place, East Kilbride.